One of my favorite parts about this city is that it is right on the water. Sometimes I forget when I am getting lost in the urban jungle that is Manhattan, but anytime I am feeling overwhelmed, I just head over to the water for some solace. Anyway, I hope you all are having a lovely Monday! What pretty pictures! For me after school I love going to Central Park... yes, sometimes its pretty touristy but its also very peaceful and relaxing. There is something about the changing leaves that gets me every time! 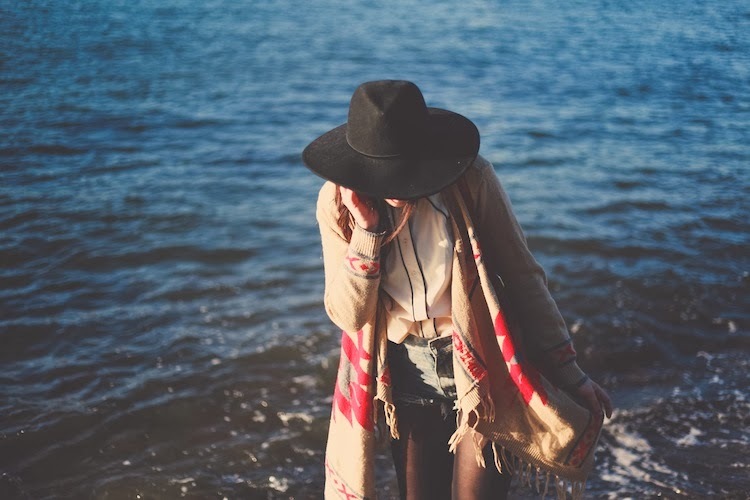 Cute pairing of that hat and the poncho! these photos are stunning. what a great thing to have. for me it is the mountains. they are my escape when i am feeling overwhelmed. This outfit is so perfect! The pictures are really beautiful! Great outfit and great location to shoot photos! wow these photos are amazing, love your sweater too! Oh wow great outfit! You look stunning, i love the whole combination! 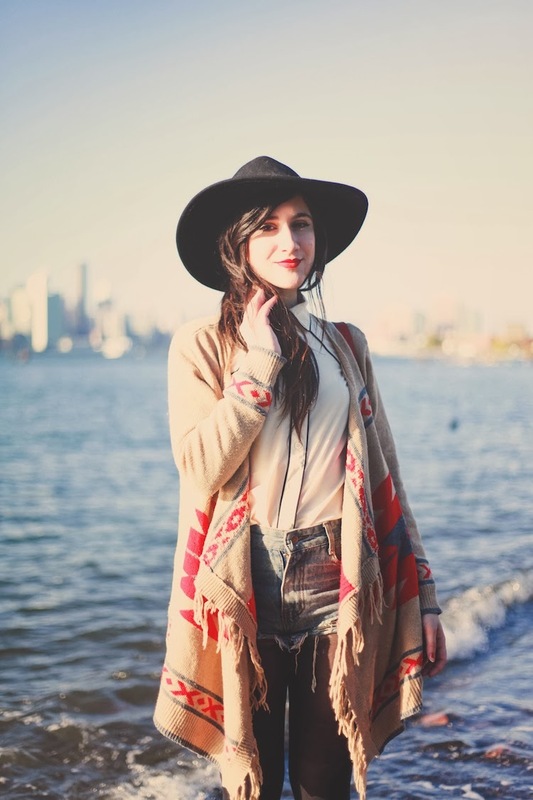 poncho cardigans were MADE to be worn with denim cut-offs and tights. Beautiful outfit! Amazing place to take photos! love the whole western vibe! the sweater and hat are to die for! i love your stye your so cute.. nice photos and perfect place. You've always amazed me with your fashion sense. this Brooklyn waterfront in the background is beautiful, I love the dress your wear and how you pose for the camera. I am in love with your blog. I love all your shots. Looking forward to seeing you someday!